If you are a music lover, you know how frustrating it can be to listen to the same playlist over and over again. The situation gets worse when you realize that buying full albums or paying for a music streaming service can get expensive very fast. So what do you do? You find the best android apps to download free music. Most of the apps that give you the ability to download free music are listed on the Google play store. Those that are not will require that you allow for third party apps installation inside your settings. Without further ado, here is the list of apps. The first app on the list is free. It allows you to search, download and then listen to your music at the time of your choosing. After searching for your song, all you have to do is tap on it and it is downloaded to your SD card for easy listening. From the “Listen” tab inside the app, you have the ability to listen to all songs downloaded using the app. For the easy of use features on this app, we put it on the head of the best android apps to download free music. Simple Mp3 Downloader gives you a simple interface to download and listen to your songs. It works on both phones and tablets and stands out as it allows for search by song title, genre, artist and album. You can download the songs you choose via a simple tap on the song's name. The app also comes with a downloads tab that is useful in finding all MP3s that you download onto your phone or tablet. 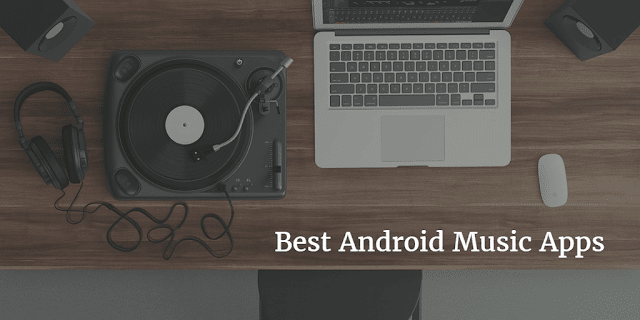 Mp3 music Download is among the Best Android Apps To Download Free Music/ It offers an advanced interface and lets you search millions of MP3s from their massive database of songs. This app stands out as it also gives you the ability to search for the lyrics of the song you are listening to. Music Download Paradise is another very popular music and sound search app for Android devices. This app not only lets you download music, but it also allows you to discover exciting sound effects that you can download for personal use. The app also helps you to find ringtones and other short sound clips that you can download for free. Apart from letting you download music to your devices, SuperCloud Song MP3 Downloader allows for streaming of music without downloading the music. SuperCloud Song Mp3 Downloader also enables you to search for and download music to your phone or tablet. Music MP3 Download Free CopyLeft is another excellent app among the Best Android Apps to download some great free music. It allows streaming and downloading of music that falls under the Copyleft Creative Commons License. This app is unique because it lets you download music from the Copyleft files. These files are legal to download, unlike those offered by most apps. Music Paradise Pro is both free and fast and is a very simple mp3 downloader app. Another app that makes onto the list of the Best Android Applications to download unlimited free music is Music Maniac Pro MP3 Downloader. This app, apart from letting you download a huge selection of music from their service, also enables you to select a fantastic ringtone for your phone. iTube Mp3 Music Download is free and it lets you download free music fast. As with most of the apps listed here, they don’t own any copyrights to any music, so they let you download music from the public domain instead. SoundLoad Mp3 Download by SoundLoad is a premium Android music downloader app. It lets you search for your favourite songs and allows you to buy mp3 music online. You can download all the songs you buy to your device for offline listening. This app also contains lots of music under the "Free to Use" tier, and it allows you to download this music for free. 4Shared Music is a very popular Android music downloader apps that has been in the public domain for much longer than most of the apps on this list. It lets you search your favorite songs, create playlists, add your favorite tracks to your playlist and also download the songs in your playlists for offline listening. 4Shared even lets you stream music and videos. A popular app which is not entirely free. You get one month of free use and have to pay after. It is important to know that this app lists Hindi songs and if you listen to English songs, it's not for you. Although Tunee is one best app to download music completely free, it has is no longer on thePlay Store. That said, you can still download the APK of this app from third party sites. Google Play Music offers more than 50,000 songs in its database and is, therefore, one among the Best Android applications to download great free music. You can also discover and subscribe to podcasts using Google Play Music. SoundCloud is technically a music streaming service but you can also use it to download music made available for download by the uploader. You can search for your favourite music from the Genres section or by searching using the search bar. Napster is an intelligent music app that gives you access to more than 30 million mp3 tracks found in their database as of now. We call it an intelligent app because using its Music match technology it can search for and recommend songs according to your taste. Gaana is another excellent music download app for android. Although this app is brilliant, the downside is that songs downloaded from the Gaana app cannot be played on any music player. This app makes onto this list although it is somewhat of a specialist app. RockMyRun lets you search for and download workout music from different genres. The genres include Drum, Bass, Hip Hop, Pop, Rock and many others. RockMyRun also has a unique feature called Body Driven Music. This feature automatically adjusts the tempo of your music in accordance with your body movement and exertion to keep you on the up and up during exercise. Advanced Download Manager is also a special app as it’s not just a music download app.It also lets you download videos, programs, songs, images and documents. All you have to do is find the link to the songs you would like to download and let the app do the rest. GTunes Music Android App offers a simple interface to search, download and play millions of free and legal quality MP3 music. GTunes Music has a special functionality where it lets you create unique ringtones and assigns them to particular contacts for you. Although not available in the Play Store anymore, it is still available via third-party websites.